PROJECT TEAM: Bertram Brockington, Carol McCullough, Trudi Learmouth. We have members on the Exeter Animal Welfare & Ethical Review Group (Olwen Goodall) and the Social Sciences and International Studies Ethics Committee (Peter Cleasby). 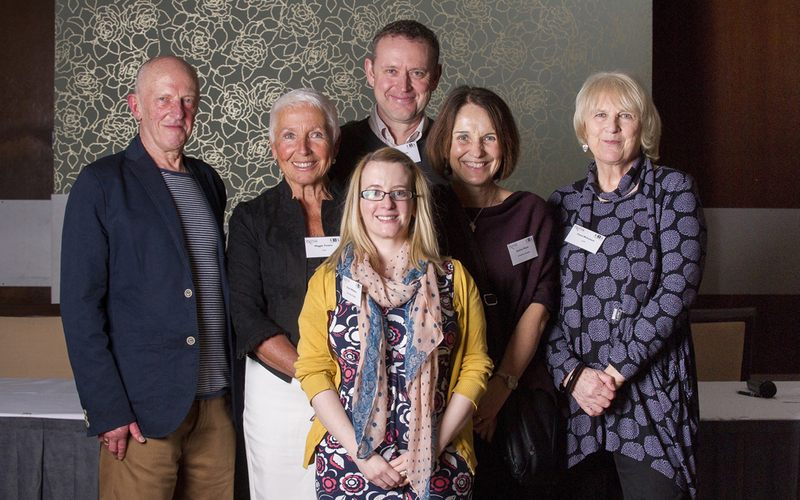 The University Liaison Project Team is not a 'group' like the many groups in Exeter U3A: we are a team working to make a mutually beneficial link between Exeter U3A and 'our' University of Exeter. 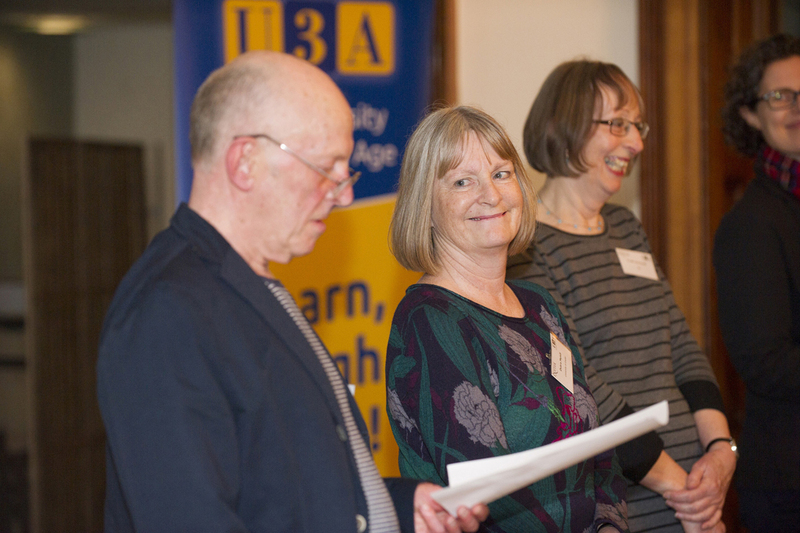 We arrange talks by top academics, presentations by research students and help develop research opportunities for U3A members. These events are open to all Exeter U3A members. Please note we expect confirmation of bookings to be sent out at the latest a fortnight before the event. 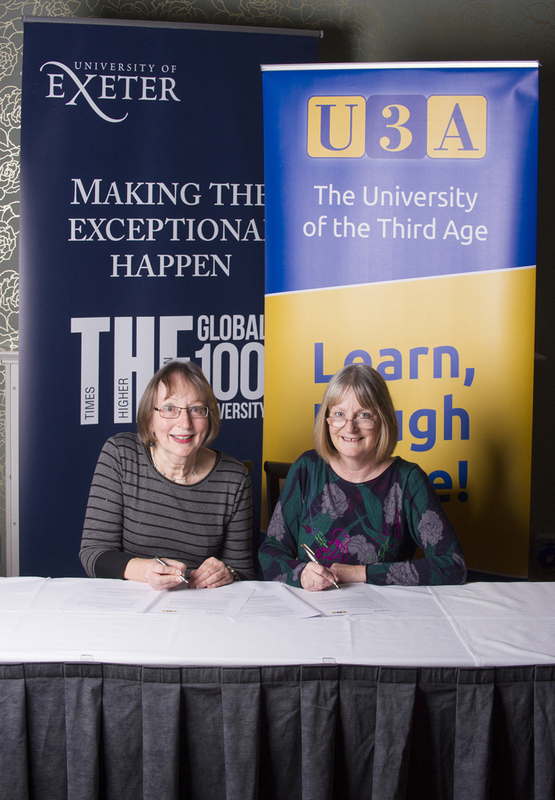 On the 3rd of March 2016, Exeter U3A signed a formal Memorandum of Understanding with the University of Exeter. Everybody wants to be happy and happiness is the final goal of human life, Aristotle states in the Ethics. We may agree that this is the case, but also think this does not say much: everybody wants to be happy, but what does happiness consist in? Does happiness consist in the pursuit of external goods, such as money or power? Or is the happy life a pleasurable life? Or does happiness rather consist in developing a good character and acting in accordance with our good qualities. This one-day workshop will explore ancient recipes for wellbeing. In the first part of the workshop, Gabriele Galluzzo will present different ancient approaches to happiness and wellbeing. In the second, participants will discuss all together and in small groups the extent to which ancient recipes still represent viable options for us today. The workshop will also see the participation of Classics students. To book a place on this event please mail us at exe.u3a.uni.liaison@gmail.com stating full name, membership number and a contact email address. It would be helpful if you include the date of the event in the subject line of your email. Seven million people in the UK currently provide care for family members and friends with disabilities and chronic illnesses. They are the key to sustainable health and social care and save the government £132 billion each year. Their contribution, however, is not without costs (the negative consequences of caring include physical and mental health problems social isolation, and financial distress) and demand for family care is rapidly exceeding supply. Archaeological and historical research shows that caring has not always been marginalised and was once a valued community activity. Similarly, anthropological research has documented considerable variation in family care practices across cultures. Contemporary British carers have told us that learning about the history and cultural context of care would help them to see their role as part of a great human tradition and could reduce feelings of isolation and improve wellbeing. In this talk, we will outline our initial plans for a large collaborative research project which aims to support contemporary carers. Wednesdays, 8th, 22nd May, 5th, 12th June, 4.00 p.m. – 5.30 p.m. This is a regular, informal social event for overseas students and some family members, to chat to ‘real’ people – us! It improves their confidence and fluency in spoken English and allows a friendly and interesting cultural exchange. The key factor is informality; there is no attendance list so you can come along when you want, and drop-in and stay as long as you like. As always with Family Class events, you don’t have to do any teaching – just chat! CRINGE AT THE THOUGHT OF JOINING A GROUP? Age UK Exeter is on the look-out for people aged over 50 who don’t like joining groups as the charity is interested in helping broaden the social networks of ‘non-joiners’. Since October they have been interviewing Exeter residents and gathering perspectives as part of a unique project to explore possible alternatives to groups for people who prefer other ways of connecting. Age UK Exeter’s Chief Exec, Martyn Rogers, said “This project is really interesting as so much about combatting loneliness and isolation tends to be groups based, but what do you do if you’re not a ‘group person’? We hope to uncover new ways of connecting people that work for them”. Early perspectives look set to result in trial runs of such schemes as a platonic matchmaking service, bus pass jaunts and opportunities to meet people through a shared love of dogs. If you are interested in helping Age UK Exeter broaden the range of social opportunities open to older people in Exeter by talking about your own experiences then please get in touch with Chloe Burrow by calling 01392 202092. WHAT DO YOU THINK ABOUT CONNECTING TO PEOPLE AND PLACES USING TECHNOLOGY? We are seeking participants who have experience of using technology to make or maintain connection to people or places, or have ideas about using technology for this purpose. Participation involves a 1 hour interview either face to face at a location that suits you, or via the telephone or videoconferencing (Skype). With your permission, the interview will be recorded. You will receive a £20 gift voucher for your time. After analysis, the grouped findings from all participants will be prepared for publication in technology and health journals and sharing at conferences with technology and health professionals. If you are interested please contact Avelie Stuart: 07756 075452, or a.stuart@exeter.ac.uk. In his talk on the 20th of December, Dr Adam McCann initially compared the law on assisted dying in the Netherlands, Switzerland and within England and Wales. LAW IN ACTION: Having explored the law as it stands here at present the example was given that of the 138 cases of assisted suicide reported to the DPP since 2009 NONE have been taken to court. Why are politicians so unwilling to reform the law on assisted dying in England and Wales? In his lecture Dr Joel Krueger, both a philosopher and cognitive scientist, ‘extended’ the minds of some thirty-five U3A attendees with a fascinating lecture on musical worlds and the extended mind. Apparently within the past few decades, many in philosophy and cognitive science have questioned the ‘neural sufficiency assumption’ – the notion that neural mechanisms are always and everywhere sufficient for cognition – i.e. the mind = the brain. According to ‘4E Cognition’, minds are embodied, embedded, enactive and perhaps even extended. Cognition is not just in the head. It routinely spills out into, and through the body, as well as the surrounding environment. A central feature of 4E approaches is the notion of ‘offloading’ – i.e. we think and feel using resources from our bodies and the surrounding environment. Offloading occurs when we use physical actions to alter the information-processing requirements of a task to reduce the cognitive load. We offload onto ‘cognitive scaffolding’ which are the artefacts, processes and environments which amplify and regulate our cognitive capacities. A dynamic feedback mechanism from these processes transforms our cognition, i.e. otherwise inaccessible forms of cognition become available to us, e.g. enhanced memory. It can therefore be concluded that the cognitive process extends across brain-body-world interactions. And so extended mind theorists claim that part of the ‘machinery’ of cognition extends beyond brain and body, the so called ‘location claim’, and secondly, the ‘beyond the head machinery’ like smartphones, MP3 players, are actually part of our cognitive processes, the so called ’constitution claim’. The main idea according to Dr Krueger is that philosophers should pay more attention to the everyday materiality of music, which illuminates how we use music to construct musical worlds. We play music – we use it as scaffolding for constructing a self-styled micro soundworld – and then by temporarily inhabiting this soundworld, we offload some of the emotional and regulatory functions that normally fall within the scope of our internal capacities. In other words, music is a resource for creating musically scaffolded worlds that afford offloading. Two key ideas are that firstly, music is always embedded in artefacts of material culture which shape how we experience music and what to do with it. Secondly, micro environments or musical worlds afford us on demand “hear and now” synchronic self regulation of our emotions and attention. By virtue of their portability and personalised character, MP3 players and smartphones are powerful tools for on-demand self care. In shared open- plan office settings, workers routinely use music to construct ‘auditory bubbles’. These individualised soundworlds within public spaces, help reclaim individual space, occluding environmental distractions by creating preferred auditory environments which are conducive to work. They also provide synchronic resources to help manage attention spans, feelings and energy. We also use music to intensify our moods like choosing to listen to ‘happy’ music or ‘melancholic’ music - a way of exploring emotion. This can be a cathartic experience - when scaffolded by music, the experience of grief e.g., takes on a particular intensity, depth and temporal character. There is a functional gain. Clarke (2018) suggests that the music may also function as a kind of virtual other, empathic presence, providing comfort and insight. This may explain the motivation to listen to sad music when sad. ‘Musicking’ (any activity involving or related to music performance, listening, rehearsing, composing) is a richly cross-modal, whole body experience. Dr Krueger further explained that music also solicits entrainment responses. In the biomusicological sense, entrainment refers to the synchronisation of humans (and some organisms) to an external perceived rhythm, pulse or beat. e.g. tapping foot to the rhythm of music or dance. Dr Krueger showed us two highly entertaining youtube video clips of a toddler at the back of a singing choir seemingly spontaneously conducting the singing, and a baby suddenly waking to music and moving into rhythmic arm movements in beat to the music. Music entrainment is the ‘glue’ which links the listener with the musical scaffolding at neural, physiological and behavioural levels. Noteworthy is that we are vulnerable to musical worlds that are not of our making. With reference to various empirical studies, Dr Krueger described weaponised musical worlds and involuntary offloading. Our attention and emotion can be co-opted and behaviour can be regulated in deep and subtle ways. It is well established that loud music is used as an element of detention and “harsh interrogation” by USA authorities as part of the so-called “global war on terror”. Loud music is played both to groups of prisoners as well as during individual interrogations. The body is bombarded with relentless acoustical energy which elicits an array of neurophysiological entrainment responses and experiences beyond personal control. This loud relentless weaponised musical world in which music becomes sheer sound, results in prisoners becoming unwilling parts of a musically extended cognitive system losing a sense of space and any ability to self regulate. There is also apparently ample evidence that background music while shopping has a significant influence on both what consumers buy and how much they will pay. Musical worlds can be organised to promote cooperation and affiliation. Various empirical studies have demonstrated how participants report feeling more connected when rocking together in a musical space. Children who repeatedly participated in rhythmically organised musical interactions subsequently behaved more cooperatively and empathically than children who engaged in non musical activities. By synchronising to the same beat or melody we become physiologically and behaviourally entrained with one another. According to Cross (2007), musical scaffolding enhances our attention and motor coordination, and strengthens our experience of interpersonal cohesion and empathic affiliation. Music is therefore both a medium and an environment for empathy as was demonstrated in a video clip of a music therapist working with a man with severe autistic behaviour and the connectedness established between the therapist and the patient through playing musical instruments. There was considerable discussion and questions were asked. U3A members told of their own experiences including creating a musical world with people who have severe dementia and the sense of real connectedness with them that ensues; description of creating musical worlds with prenatal babies in neonatal intensive care units to promote a healthy growing environment; movements of infants attuned to the rhythm in mother’s voice, earworms, and more…..
We all agreed it was a most fascinating, informative and stimulating topic. Thank you Dr Krueger! Dr. Mary O'Leary opened her talk by explaining that the Shatavari plant – Asparagus racemosus is part of the Asparagus family of plants and grows in India and Nepal. It is one of many plants used in the ancient Ayurvedic system of medicine originating in the Indian subcontinent and has been used as an aphrodisiac and to encourage breast milk in nursing mothers increasing infant weight gain. Shatavari contains phyto-oestrogens and steriodal saponins. Through various graphs she illustrated that the menopause triggers a dramatic drop in oestrogen and a subsequent loss of bone and muscle mass (unlike men of a similar age). Bone mass loss can also increase the incidence of Type II diabetes. Scares about Hormone Replacement Therapy (HRT) have damaged its reputation and uptake is now low so there is a search for an alternative therapy – perhaps Shatavari? Dr. O'Leary's study is looking for women who are over 60, with a body mass index (BMI) of under 30, no osteoporosis or taking medicines to prevent this condition and who have not had HRT in the last 5 years. The Trial of the Shatavari plant will be supplied with the supplement by Pukka Herbs but Dr. O'Leary emphasised that the company had no input into the design of this study. 24 women are sought and 12 will be given a placebo and 12 the Shatavari supplement over a 6 week period. You will be required to make three visits to the labs, the first to discuss your input in the trial, the second and third (without previously having breakfast) to take blood samples and (under local anaesthetic) a muscle biopsy, plus tests of leg strength and hand grip which will take approximately 1 to 1.5 hours. You are offered breakfast after the visit (if you wish). There were lots of questions about the muscle biopsy and we were reassured that gentle aftercare and no immersion in water for 5 days would result in complete healing. Fifty two U3A members atended this talk by Dr. Sue Jones, which was actually entitled “Grammar to Shape Meaning”. Traditional methods of teaching multiplication tables, cursive handwriting (now abandoned in countries such as Finland in favour of touch typing and speed texting) and grammar have gone in and out of vogue in the last few years. Despite the fact that a good command of language and knowledge of grammar is very important for the authors of training manuals, scientific reports, minutes of meetings, legal documents etc., the teaching of grammar was abandoned in the 1960s. It was thought to stifle creativity. When the teaching of grammar was restored to the curriculum in 1995, many teachers found themselves to be in the position of having to teach a subject which they themselves had not been taught. Dr. Jones herself had not encountered formal grammar until she needed it to learn French. It quickly became apparent that Dr. Jones’ research was carried out mainly with reference to “creative” writing, a subject not really taught to most of us who had studied English Language and English Literature for G.C.E. ‘O’ Level. Her research had involved interviewing writers such as Hilary Mantel and exploring how they felt about grammar. Some would ignore grammar completely. (Think of Kerouac’s “stream of consciousness” writing). Others use poetic licence to break the rules for effect. For example, there are quite a few well known sentences beginning with “And”. Thus, Michael Morpurgo:- “And out of the mists came a figure in flowing green, walking across the water”. Many writers have strong feelings about the use of grammar, perhaps because it is ingrained, drummed into them in their early years. Author Philip Pullman, writing in “The Guardian” in 2005, was very much against the idea of giving young children formal instruction relating to syntax and parts of speech. He claimed that such instruction was recommended by “the political right to make children better writers, politer, more patriotic and less likely to become pregnant”! He was scathing about the “common sense” approach which, he felt, stifled the creative approach. Dr. Jones asked her audience to stop and think about how they had learned grammar, whether they had good “grammar knowledge” and what they thought was the value of grammatical knowledge. She continued with some observations about how young children gradually acquired the use of language. She observed that, to a certain extent, they learned how to apply some of the rules without knowing of the existence of those rules. For example, a small child might say “I digged the garden”, illustrating an understanding of the past tense, despite declining the verb incorrectly. Dr. Jones suggested that the teaching goal was to open a repertoire of infinite possibilities for young children rather than teaching them very precise ways of communicating. Most important was “learning how to mean”. This led on to discussion about the ordering of a sentence such as the above-mentioned words of Michael Morpurgo or in Charles Dickens’ description of Magwitch. We thought about where the emphasis would be put when such sentences were read aloud and how the meaning could be altered by reordering the phrases in a sentence. This, then, is the element of creativity – manipulating descriptive phrases, as opposed to writing simple factual sentences. This led on to a class exercise in which noun phrases, relative clauses, prepositional phrases etc. could be used to develop character and paint pictures. Various examples of such phrases were suggested. E.g. “sporting an unnaturally thick neck”, “bald and brown-eyed”, “with a mouth ready to smile even when at rest” etc. This sort of grammar teaching at secondary level could help children who were not instinctively creative to realise that they could in fact write creatively. The conclusion was that the way forward was to integrate grammar meaningfully into teaching and show students how their grammatical choices could affect meaning. Teaching of grammar was not so much about obedience to rules as about the nurturing of a repertoire which could generate infinite possibilities. And, of course, most important of all, is to read. The event had to be drawn to a close due to time constraints, but there was nevertheless some animated discussion afterwards. It is to be hoped that the enthusiasm of teachers such as Dr. Jones will help young people to continue the great tradition of English literature in spite of the period of technological revolution in which we are living. The BBSRC have published a report on Bioenergy based on eleven public dialogue events. Members of our U3A took part in one of these on 30th August 2013. Dr Jo Bowtell and her team have now published the results of the blueberry supplementation study: http://www.nrcresearchpress.com/doi/abs/10.1139/apnm-2016-0550?journalCode=apnm#.WL7rHNSLTs0 in Applied Physiology, Nutrition and Metabolism. The report also had some good coverage in the media and the team would like to thank everyone who took part for their help.